Time:The example in this article was made in two hours not including designing the texture or waiting for the kettle to boil for a cup-of-tea. You can either print the texture sheet from this link or make your own using it as a guide. 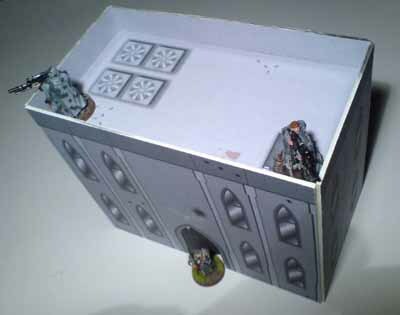 The scale is designed to match GW miniatures. Print this on A4 card which is more durable than paper and won’t develop ripples when it comes to gluing. Once printed, cut out roughly and stick onto the mounting card using glue stick*. Avoid using a watery glue like PVA, as this will be too messy and risk soaking the card and making the ink run. 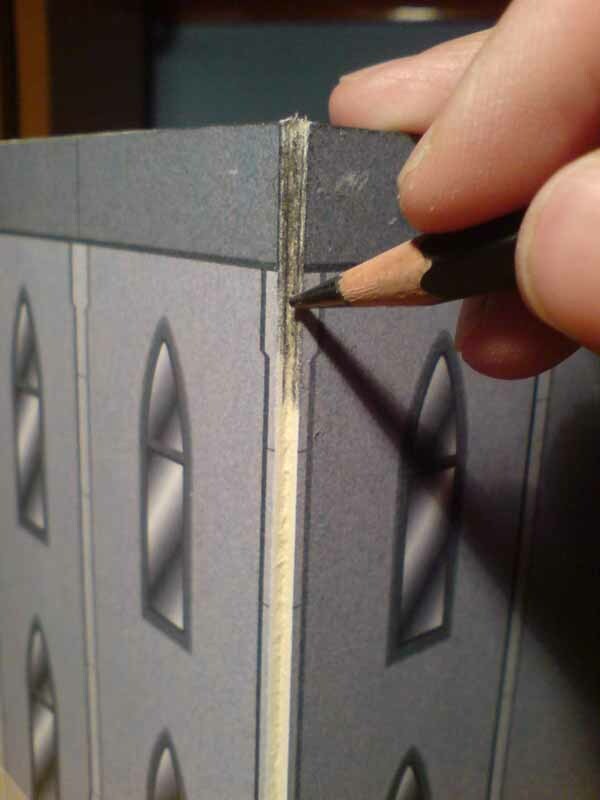 Once glued, place a clean piece of paper over the façade and rub down to make sure the texture layer and the mounting card are firmly glued together while focusing on the edges. The piece of paper will act as a barrier to protect the texture print during this process. Once you’re happy that the two parts have bonded, sandwich the façade under a heavy book thus making sure the texture card and mounting card bond evenly. This will also avoid warping. 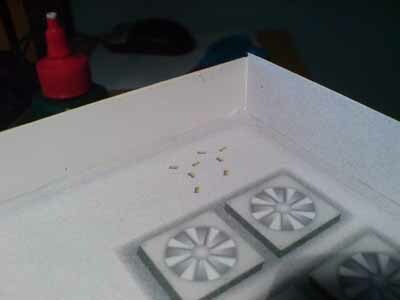 * Spray Mount (spray on glue) would be ideal adhesive for this stage, but as this a low cost project, I’ve only mentioned a cheap alternative that works just as well. Step 2:Using a Stanley Knife, trim the edges. This will make the texture look as if it’s been printed straight onto the mounting card which would of been too thick to feed through a printer. This will also achieve a nice clean, sharp edge. 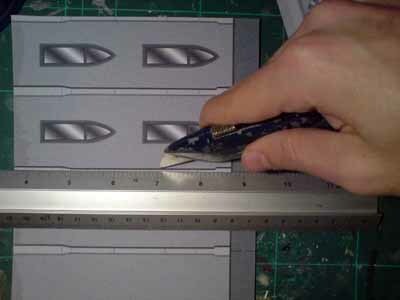 Step 3:Using a scalpel, score the corners of the building that are to be folded. This should be done lightly and take a couple of attempts until the card folds with minimal effort. Too little and the fold becomes messy and you won’t have a sharp corner. Too hard and you’ll cut straight through. Fold to a right angle. Do this again for the second section. You should now be left with two free standing right angled façades. Step 4:Use masking tape to hold in place and PVA the roof 20mm below the top of the building line to one of the right angled sections. 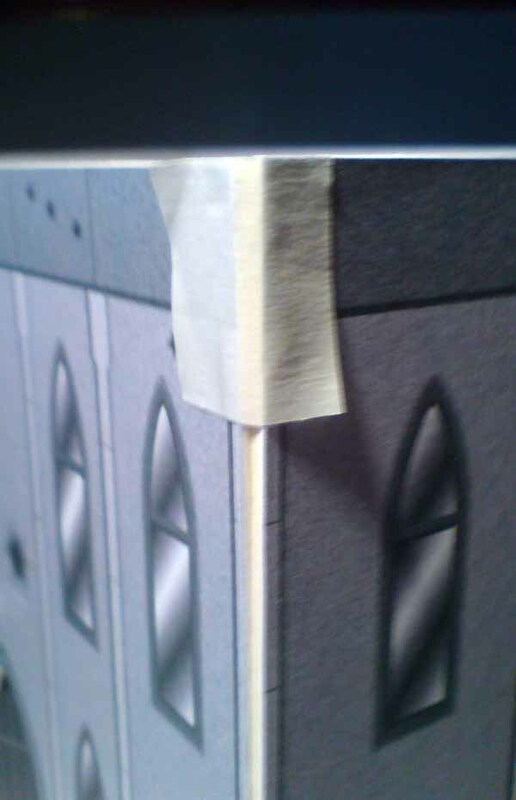 Step 5: Glue the second right angled façade to the building and hold it in place temporarily with masking tape being careful not to press the tape onto the print too hard. 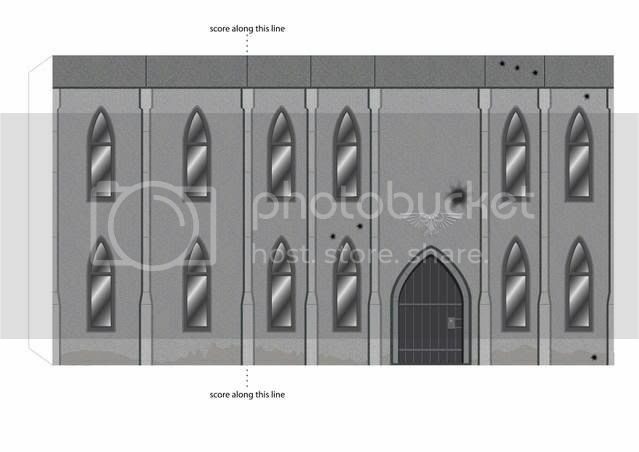 This will risk removing or damaging the ink when you later remove it once the glue has dried and facades are secure. 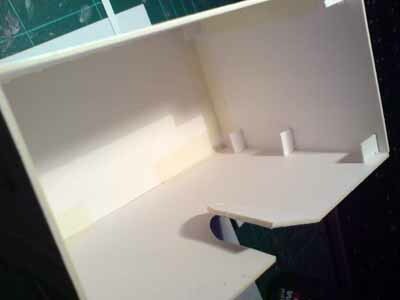 Step 5: On the interior of the building, strengthen the joints/corners with square pieces of mounting card. 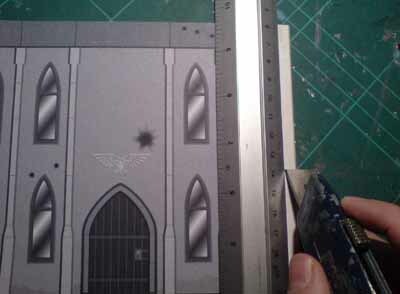 Step 6:Print off another roof texture and cut & paste over areas that still have not yet been rendered such as the inside wall of the roof top with a glue stick. 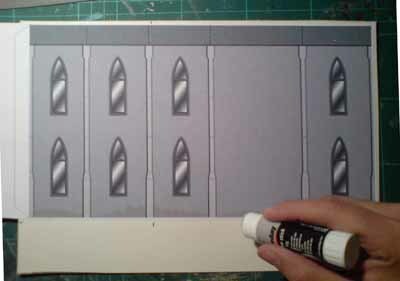 Step 7: Use a *pencil to colour in the parts of the card that were scored. 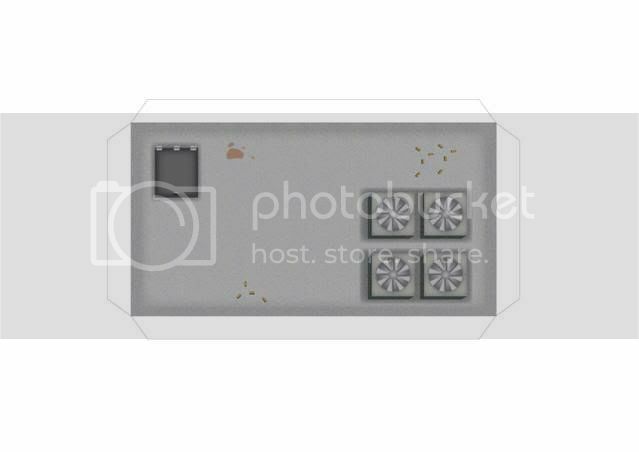 *Paint can be used but being careful to have it too watered down or it will seep in between the texture sheet and mounting card. Step 7:Ta Da!....Now go down to Ikea by some furniture and move in. 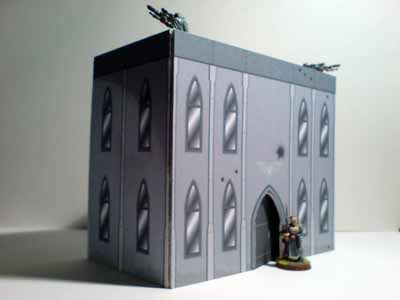 You can go further and stick the building onto a base or even chop it up to make ruins. 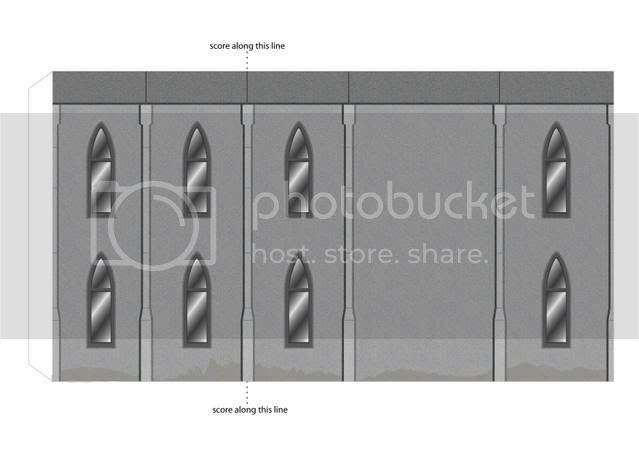 The design can also be customised and made into a one story building. After thought:This technique was used to make a very basic box building. 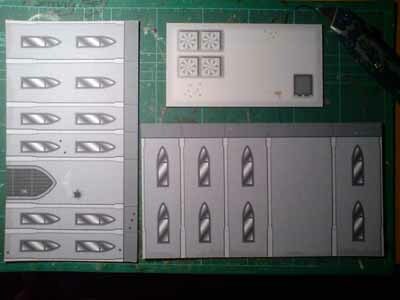 But with a little imagination and more card there are endless possibilities to construct models that you neither have the much time or money to build. Look out for more of my examples on the forum and please feel free to feed back or post ideas of new ideas you would like me to make and design using this method as I will post printable sheets for all to use.